SAN FRANCISCO (AP) — Gov. Jerry Brown’s administration announced Wednesday that it was scaling back his troubled four-decade effort to redo California’s north-south water system, cutting plans to build giant water tunnels from two to one. 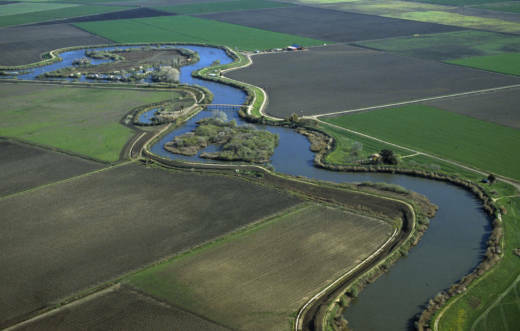 Reducing the number of tunnels — at least for now — would help with California’s quest to line up enough funding and ease environmental concerns over tapping directly into the state’s largest river, officials said. Supporters also hope the trimmed-down project will have a better chance of winning approval before the 79-year-old governor leaves office in January. The single tunnel still would be California’s biggest water project in decades. The tunnel would pipe water from Northern California through a four-story-high tunnel. Los Angeles’ giant Metropolitan Water District and its millions of urban customers are expected to be some of the main beneficiaries. California water districts had balked at the $16 billion cost of the two tunnels, stalling that version late last year. Karla Nemeth, director of the state Department of Water Resources, wrote in a memo to water agencies Wednesday that the state would still proceed with a second tunnel if the money is found. The state put the cost of the single tunnel at $10.7 billion, all to be paid by water districts that use the supply. The Sierra Club in California and other environmental groups alleged that the state is saying the two-tunnel plan still survives only to avoid seeking new permits and approval on a single-tunnel project. The new plan marks the latest in Brown’s lengthy effort to redo the water system left by his father, the late Gov. Pat Brown. The original project built by the late Brown has helped hasten the decline of California’s chinook salmon and other native species in the largest estuary on the West Coast. Supporters of the tunnels say the new project would help the environment. Opponents fear the project — built with one tunnel or two — would take too much fresh water from the vital waterway.